"The most stylish politician in Canada by like a million kilometres …"
At 10, he dreamt of being an RAF pilot. He used his training as a speech language pathologist to help newcomers to Canada. “Being a Hindu, how did you get so deeply interested in Guru Granth Sahib?” she asked. 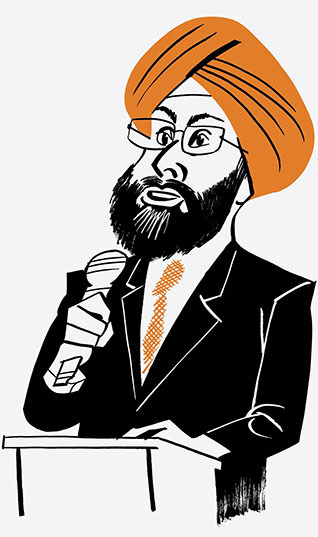 He links the success of the Sikh diaspora to the `everything is do-able' formula. Sikh-Britons Hold Higher Education Than Average Briton and most other communities.